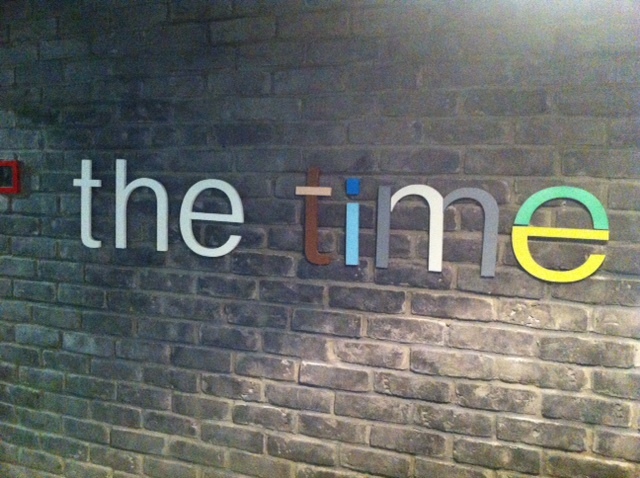 During my visit to Israel, I was able to meet up with an interesting duo that started an incubator called “thetime“. Its founders, Ilan Shiloah and Nir Tarlovsky look at startups in a different way, much different than what we’re used to in San Francisco and New York. The two have no interest in funding companies to build hype and hope for a huge exit quickly. Creating sustainable businesses from the thirty startups in their portfolio is what interests them. Thetime stands for “Telecom Internet Media Entertainment”, and its focus as an incubator is on early stage investment and offering resources for media-focused companies to become household names in the future. Rushing to an A round is not the name of the game here. Just this week, global advertising agency McCann Erickson invested $4M in thetime to assist its efforts in building companies that have the ability to impact all aspects of our lives, focusing on digital media. With both government and private involvement, thetime has invested $20M in 27 different startups, parlaying its experience and connections in Israel to grow out an impressive stable of sustainable business models. Ilan Shiloah tells me that Israel is still a young company when it comes to technology startups, and that thetime has “the advantage of the hindsight of VCs in the past 5-10 years”. With 10-12 new investments made a year, thetime is building something that’s completely different from your typical incubator program in the states. For example, Y Combinator has multiple batches of startups a year and its model is to help them build and connect them to the appropriate investors. Of course, there is a lot of mentoring going on in between, but thetime sticks with its companies throughout their entire existence. The incubator tells me that its strategy starts with an initial $400K-600K investment and is followed up by a secondary investment of $500k-$1M for the companies that start seeing traction. Instead of bringing other investors into the fray right away, thetime puts all of its efforts on growing each company in its portfolio. With McCann Erickson’s investment, thetime is valued at north of $30M and only has room for improvement. Take a look at the presentation below as the company has some extremely unique views and strategies to build out the startup culture and ecosystem in Israel, and perhaps influence a new global approach to early stage investment.